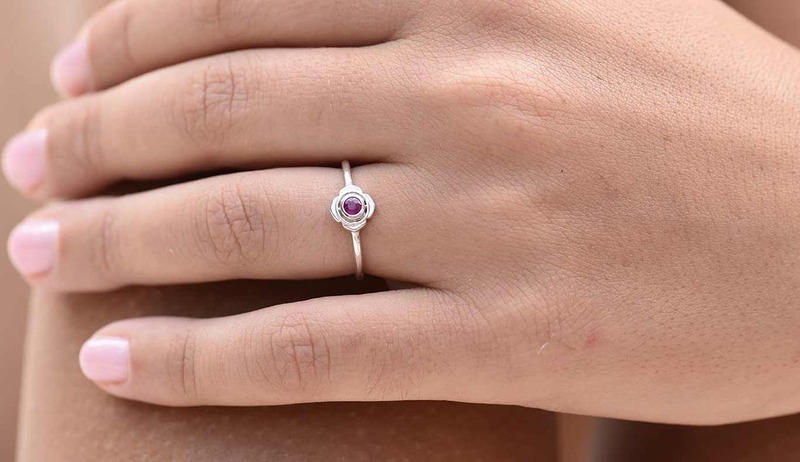 Base Chakra Ring is currently out of stock, however this piece can be specially hand made for you in 4-8 weeks after your online order has been completed. Hand made from 925 sterling silver, set with a ruby. Muladhara, the root chakra, is located at the base of the spine. We hold our earliest memories here. This chakra governs feelings of survival, belonging, and being grounded. When this chakra is blocked we become needy and self-destructive. When Muladhara is in balance we feel strong, secure, and able to stand on our own two feet. Ruby is a powerful stone that brings energy to Muladhara and additional life force to our beings. When you feel stuck in any area of life Ruby can help to bring the dynamic energy we need to move forward. This stone radiates courage and strength, and stimulates Kundalini Sexual energy.